If you’ve written a book, or if you’re part-way through writing one, you might be thinking about publication and agonizing over the choice between traditional and indie publishing. I’m coming to the end of a virtual book tour (also known as a “blog tour”). I’ve been stopping off at different blogs over the past month to promote my novel Lycopolis, and it’s been a fun trip – albeit exhausting at times! A virtual book tour has many of the benefits of a live book tour … without all the travel. Instead of going from town to town, doing talks, readings, or signings in book stores, you go from blog to blog, sharing useful information in the form of a guest post or interview. At the end of your post or interview, you can write a short bio about your book, including a link to its website or its page on Amazon. This is a win-win-win scenario: the host blog gets a great piece of content that they didn’t have to produce; their readers get your insights on a particular topic; and you get to reach a new audience. A virtual book tour takes a bit of organizing: you’ll need to decide on your potential tour stops, contact the owners of those blogs, and agree on a topic and date for your guest post or interview to appear. It can be a scary process, especially if you’re appearing on a blog with tens of thousands of readers – but it’s also a lot of fun. Your tour also ties in with other publicity efforts: especially building a network of reader/writer contacts, and getting reviews. Your network consists of all the people around you who you can reach – perhaps by email, Twitter, Facebook, RSS, or good old-fashioned phone or mail – and who are at least potentially interested in your writing. When I started out in blogging, I did a lot of guest posting, without worrying about the fact that pretty much no-one knew my name. This helped me build up a network fast: busy blog editors may not notice if you leave a comment or send them a tweet, but they will remember you if you give them a great piece of content for their blog. By going on tour, you can bring new people into your network; not just the people who read your pieces, but also the gracious hosts who welcome you to their blogs. Of course, you shouldn’t just rely on a virtual book tour to build your network: you can blog on your own site, establish an e-newsletter list, gather Twitter followers and Facebook likes, and continually grow your potential readership. Again, don’t rely on your book tour as your only way of getting reviews. Approach people who are already highly engaged members of your networking – perhaps readers who comment on every post you write, or friends who helped by reading early drafts of your book. Encourage them to write a short review on Amazon – even just a couple of sentences will make a difference. So, if you’ve got a book that’s ready to promote, try lining up a mini-tour – a week of guest posts on different blogs. If you’re writing non-fiction, look for blogs with similar subject matter and a large audience. 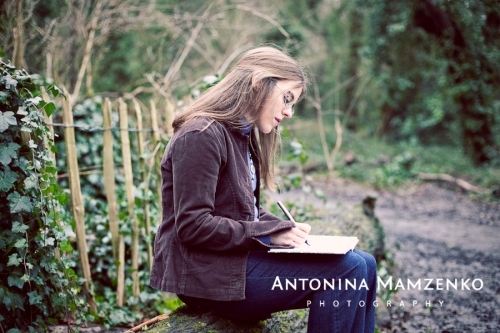 If you’re writing fiction, you could post on blogs aimed at readers, writers, or both. If you’ve got any questions, or if you’d like to share your experience of promoting your book, drop a comment below. 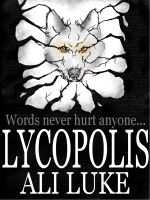 Bio: Ali Luke is currently on a virtual book tour for her novel Lycopolis, a fast-paced supernatural thriller centered on a group of online roleplayers who summon a demon into their game … and into the world. Described by readers as “a fast and furious, addictive piece of escapism” and “absolutely gripping”, Lycopolis is available in print and e-book form. Find out more at www.lycopolis.co.uk. I’ve had a blast following some virtual book tours. They’ve definitely aimed me toward books I might have missed. Cheryl, thanks so much for hosting me here!